When it comes to the biggest names in the VPN competition, only a few providers come to mind; one of those is NordVPN. If you’re like us, you’ll see NordVPN receiving tons of praise just about everywhere (seriously, how many YouTubers does one VPN provider sponsor?!). NordVPN has a great reputation floating around for a solid feature-rich VPN service at an unbeatable price. Today, during our NordVPN review, we’ll find out if NordVPN is just a great marketing machine – or if it really belongs at the highest rungs of the VPN ladder. Servers and Locations: A lot of servers, a lot of features! Over 5000 servers are available to you. With precisely 5359 servers, NordVPN already puts a chunk of the competition to shame. NordVPN started its operations just 6 years ago, and they’ve managed to really bump up their count in that short space of time. Other top-tier VPN providers fall in the range of 2000-3000 servers – not a small number already; with these numbers however, NordVPN is clearly the leader of the pack. There are plenty of servers available for each country and region, we’re sure NordVPN server locations probably includes your country. In total, they have servers spread out in 61 countries. These features set NordVPN apart from the rest. For the most demanding VPN users, a dedicated IP server is available for a year. A dedicated IP address is unique to you and you only. You won’t need to share this with anyone else with a shared IP, which may be on a blacklist. In cases where you would use services like Gmail or PayPal, this option is a must. 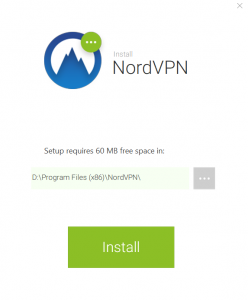 As another layer of security, NordVPN offers a feature called Double VPN. In essence, Double VPN service connects to a secure network which connects to another secure network. All traffic from your connection is encrypted twice, effectively adding an extra layer of security. Readers should be aware that this method does slow down your connection by a significant amount. Only a handful of VPN providers offers this feature, this goes to show how NordVPN goes the extra mile for its users. Get around country restrictions and hide from ISPs! Countries like China are literally crazy about censorship, to the point that even VPN services are being blocked. China’s “Great Firewall” goes to the extent of blocking OpenVPN entirely and as a result, a lot of VPNs could not work properly under their jurisdiction. NordVPN obfuscated servers mask VPN packets as regular HTTPS traffic in order to conceal the fact that a user is using a VPN service. 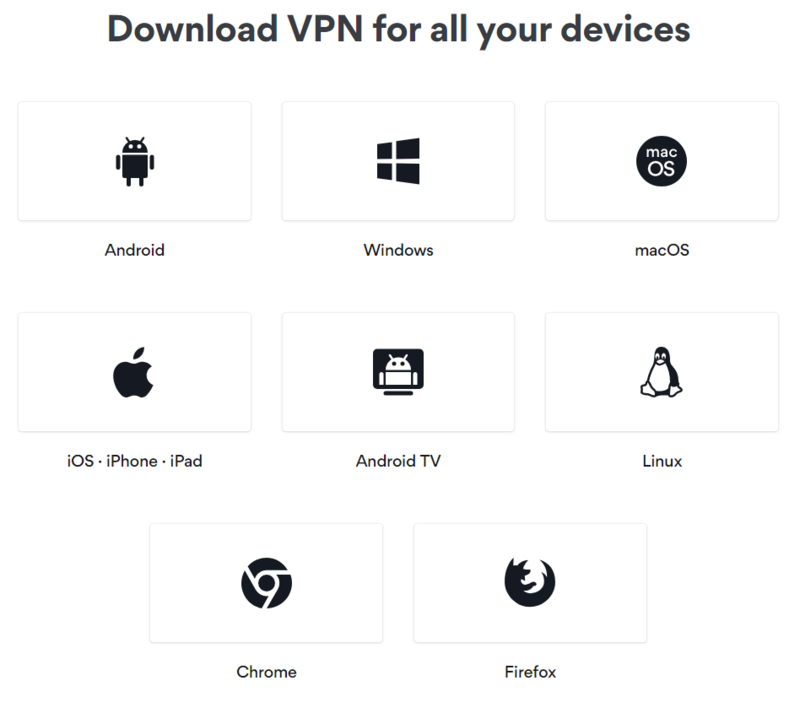 This is another rare feature to see among VPN providers. This is an important integration for TOR users. The Onion Router (TOR), for some users, is a primary layer of anonymity when browsing content on the Internet. TOR is also known by most as the access to the deep web or the darknet. TOR gives users a layer of protection by encrypting your data and routing your traffic through a network with numerous relays. Despite not having much knowledge about your activity through TOR, your internet provider could still possibly know that you are using TOR. This could be a vulnerability in your online security and anonymity to some. 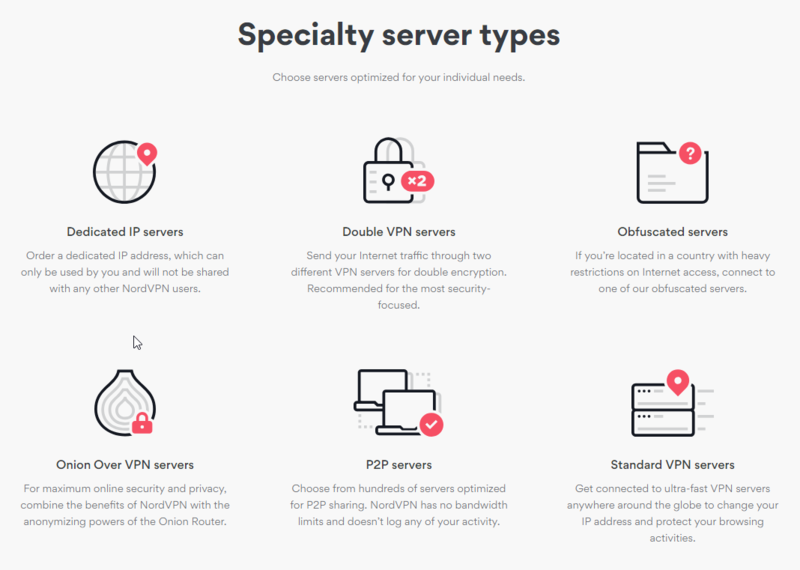 Onion Over NordVPN essentially connects you to their server first then to the volunteer nodes on the TOR network, which masks your IP address at the entry point. This means that while NordVPN is a centralized VPN service, under its no-log policy, your identity may be protected at the entry node. Onion Over NordVPN ensures that your ISP does not know that you’re using TOR and protects your identity at the entry node. This could be a great feature for activists or those who partake in illicit activities. One should remember that security is only as strong as its weakest point – in this case, should NordVPN fail, you may be at risk. However, since you are already at this point in considering a VPN to buy, you are better off than 99.9% of the world. Whenever we do our reviews of VPN services, we always get amped up when it’s time for speed tests. We conducted our tests over a 100 Mbps connection in North America and in the EU. We have compared the results to a VPN connection that NordVPN suggested for our location and the speeds we saw were really above average. These speeds just put a smile on our face as it’s really fast. NordVPN lives up to the hype! Some VPN users really don’t care much about security, privacy, and all the other knick-knacks VPN providers have to offer. We personally know a lot of users around the world who use VPNs just so they can watch their favorite shows on platforms like Netflix. If you’re like them (and us, we’re TV junkies too), we have great news for you. Netflix works on ALL of NordVPN’s servers listed on this page, which is updated regularly by NordVPN. Not only do you have access to geo-locked content, but NordVPN users also get to stream at the highest quality due to the high connection speeds. Netflix is known to be notorious for blocking IP addresses, the fact that NordVPN is able to stream from Netflix is a great sign that they constantly update their roster of IP addresses. Just to clue you in, NordVPN offers 2 more countries than ExpressVPN does. Think about all the shows you can binge-watch! Not only does NordVPN allow P2P file transfers on their network, but NordVPN also takes extra steps towards optimizing their servers for this purpose. If you download a lot of content through torrent clients, you would be happy to know that you’re highly unlikely to encounter problems with NordVPN. Speeds are fast; we never encountered port-forwarding problems (or any problems in general) on popular torrenting clients like uTorrent, deluge, qBittorrent, and Vuze. At a price point that goes for as low as $3.99 a month, NordVPN falls under the category of what we would consider a cheap VPN. 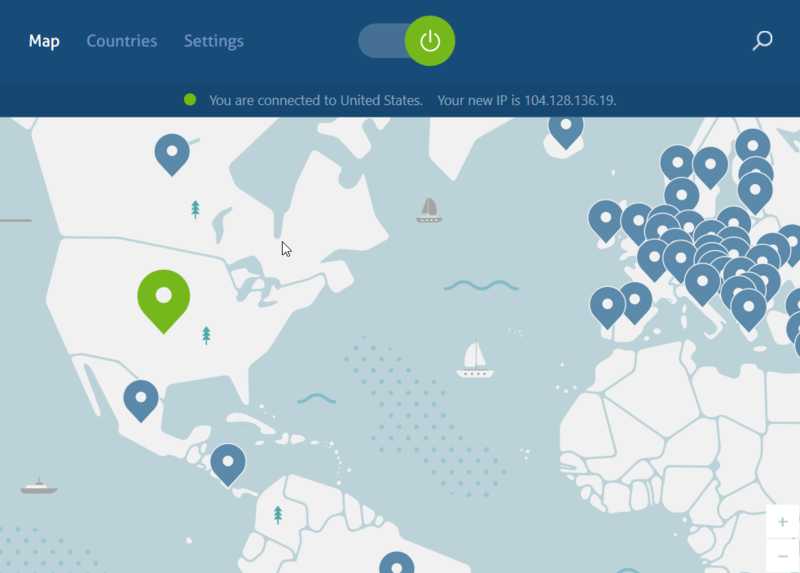 For the price of a cup of coffee, NordVPN users get access to what is quickly becoming (in this review) one of the best VPN services on the planet. 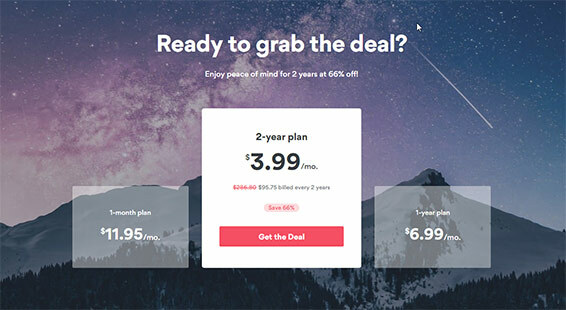 We do know that this price point is for the 2-year plan, but time flies when you have fun with NordVPN. The 2-year plan is usually hidden, but you can access it here. In the past 6 years, NordVPN’s server count has grown exponentially; speeds also see improvement, and new features keep coming. We believe the growth will continue and improve, and that’s enough reason for us to recommend this 2-year plan to you. There’s a secret way to get the 3-year plan for only $2.99 per month through the link below. 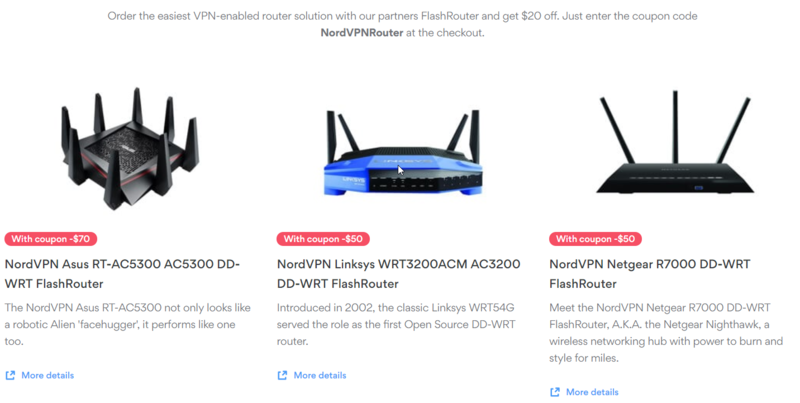 If you believe in NordVPN like we do, there’s very little thinking involved – this is the deal to grab. 30 days is a long time. If you have tested NordVPN like us, it’s highly unlikely that you’ll want a refund (yes, yes, this is a review, and we’re trying to be unbiased, but it’s hard when NordVPN keeps ticking all the boxes). Should you need to do so, they offer a 30-day money-back guarantee. No questions asked. This is quite generous from NordVPN, as it allows the users to try out their amazing service for a whole month; other VPN providers we’ve seen limit their trial periods to 7 days or less. Just be sure to know when to cancel if you don’t like the service for whatever reason. Forgetting to do so will automatically charge your credit card or your Google store account. Pretty standard in addition to smart TVs! NordVPN covers just about everything; Linux, Windows, macOS, iOS, Android, and more. Whatever device you’re using, NordVPN is likely to have a configuration for you. NordVPN allows up to 6 devices per user to be connected to their network. But if your Wi-Fi enabled device does not have a configuration for a VPN, you can always connect to a VPN router that NordVPN supports. Premium router for a premium service. 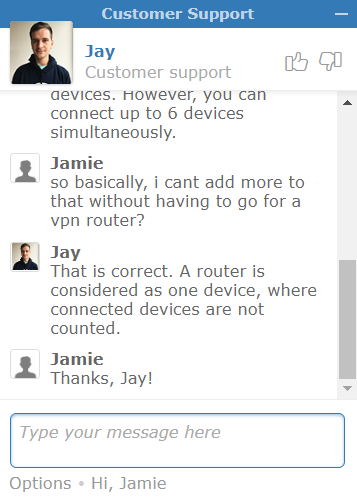 Having a VPN router allows you to increase the number of connected devices to as many devices that you could connect on your Wifi router. The NordVPN website has some instructions on configuring your routers to connect to their network. If you want to spare yourself the hassle, you can also buy routers on their website that are pre-configured to have NordVPN already. The routers they have on the website are actually quality routers, so it’s highly unlikely that you would encounter problems with those. After choosing a payment plan, all you have to do is enter an email and choose any of the payment options. This creates a new account for you. For maximum anonymity, you can just create a dummy email for your VPN since NordVPN requires one for communication purposes. Once you complete the payment, you get a notification that the transaction is complete and it automatically downloads the app on your computer. Once you open your download, just click “Install” and that’s it. No frills or fluff, no complicated setups, just simplicity all around. Once you open the app, you’ll be asked to input your credentials, this leads you to the main user interface which we think is well-designed. 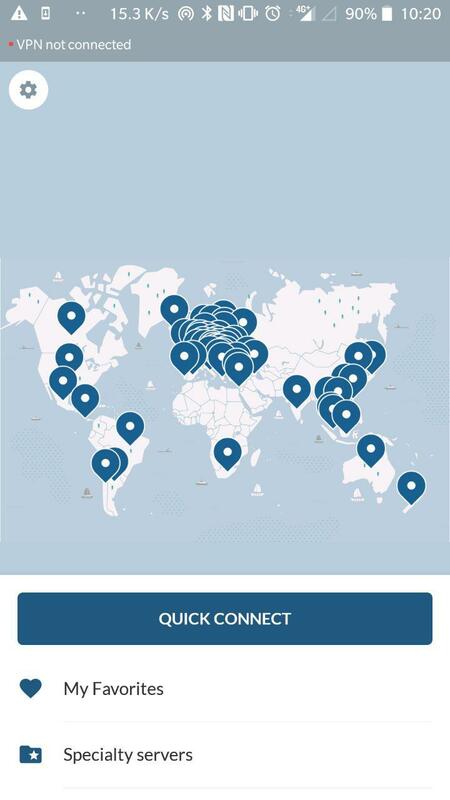 Right off the bat, you’ll see a map of the world and can click any of NordVPN’s supported countries to get started. The map gives you an overview of all the locations you can connect to. You can also just press the power button and you’ll be connected to the most optimal server for your location. Doing so allows you to get the fastest and most stable connection there is on their servers. We also tried out NordVPN on an Android device and it’s also as intuitive as it gets. Opening the app for the first time allows you to either sign up for their service and enjoy a 7-day free trial on your phone. 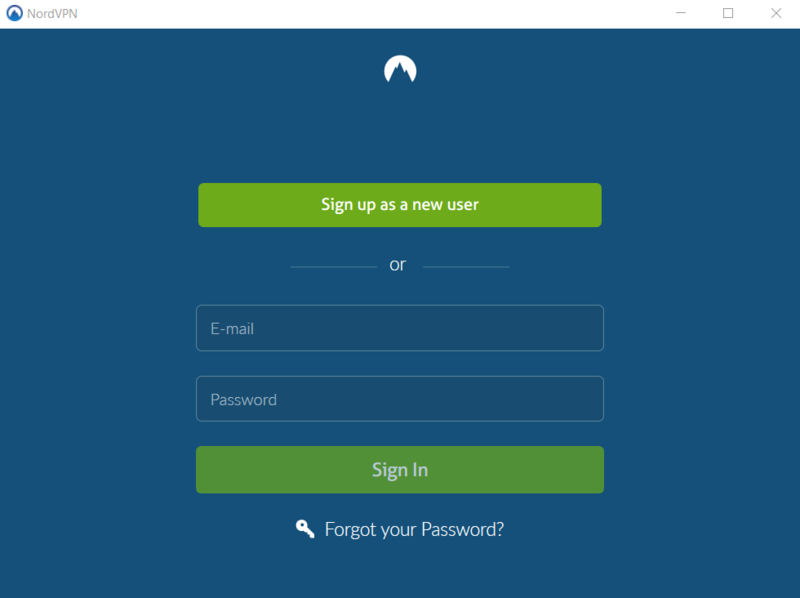 Once you have an account and logged in on NordVPN, you will be taken to a “quick-connect” screen. You can either choose any place on the map, as you would on the computer app, or you could choose to “quick connect” and you will always be connected to the most optimal server available. What makes the mobile app rich is that it did not skimp on the features. Most mobile counterparts of VPN services have limited features, most of the time leaving it as simple as “connect and forget”. All of the special servers that we mentioned earlier are also available for your mobile device, and you can easily select any of those from the main menu. 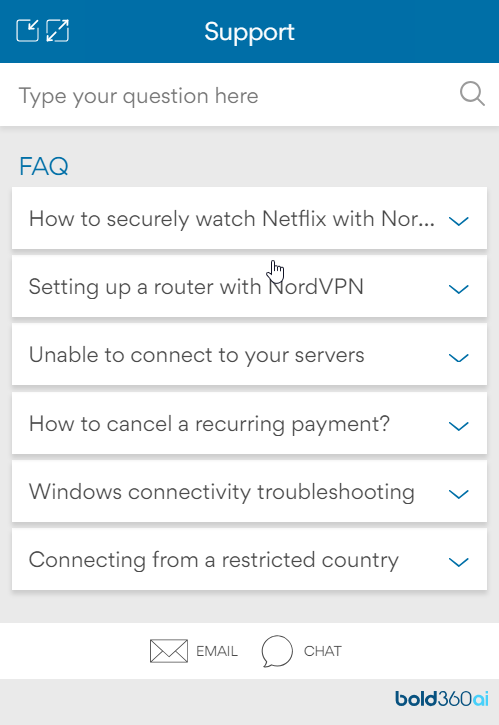 NordVPN knows their customers – they even give you the option to use Netflix right away with its mobile app. There’s nothing more to ask for, really. We love VPNs that offer live chat and we can only dream of the day where all VPN providers have a 24/7 live chat. NordVPN has one, and their customer service reps are quick to do their job. Clicking on the live chat icon brings you to a search menu of topics; you’ll be pleasantly surprised at how smart their search function is. It has most of the common questions answered right away and intelligently takes keywords from your search queries. With the rich resource on NordVPN’s website, we really had nothing to ask their reps so we just went for something general for the sake of testing. Friendly, helpful and professional live chat support! It took less than 10 seconds for customer support to answer. Should there be a rare instance where no customer support reps are online, NordVPN also offers an email support option. 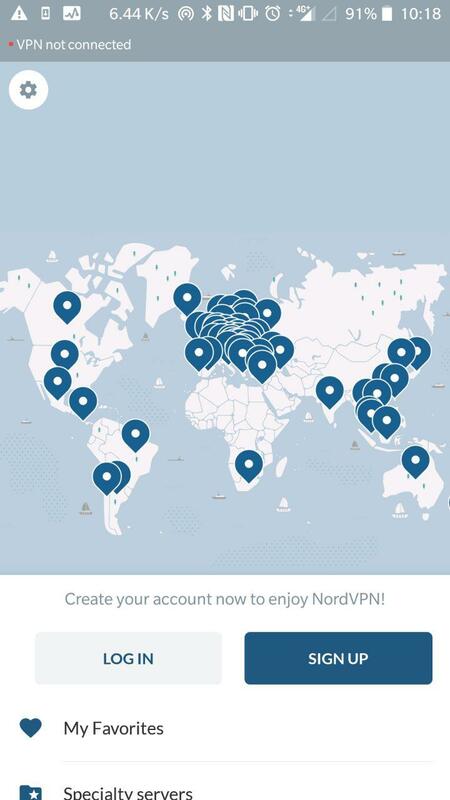 When you visit the NordVPN website, you’ll be pleasantly surprised once again. There’s so much information about the product and there are enough resources to educate yourself on cybersecurity matters as well, your head will be spinning. And we mean that in the best way possible. 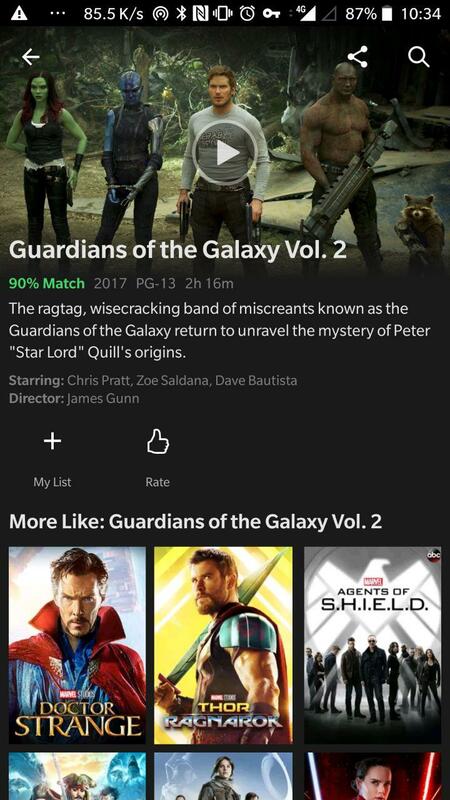 Every feature has a description and every feature has a guide on how to use it. They have a long list of FAQs, and for this reason, it was really hard for us to ask the support guys anything. In essence, everything you want to know and everything you need to know about the product is on the website. We’ve been talking a lot about how great a VPN NordVPN is and we could only expect that their privacy and security features should also be on point. 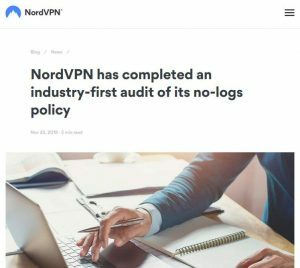 NordVPN has a strict no logs policy, users are ensured that none of their data, online activity, and consumed content is being monitored by third-parties or even government agencies. We haven’t heard of any instance as well that NordVPN has cooperated with any government agency with regards to investigations of their online traffic. IP and DNS Leak Test: Look ma, no leaks! When you’re trying to protect your identity online, it’s great to know that NordVPN is absolutely excellent at concealing your IP address. Our testing reveals no IP and DNS leaks; our identities and true locations won’t be revealed anytime soon. When we talk about military-grade, we’re talking about 256-Bit AES encryption. More importantly, the most secure VPN providers like NordVPN uses it. 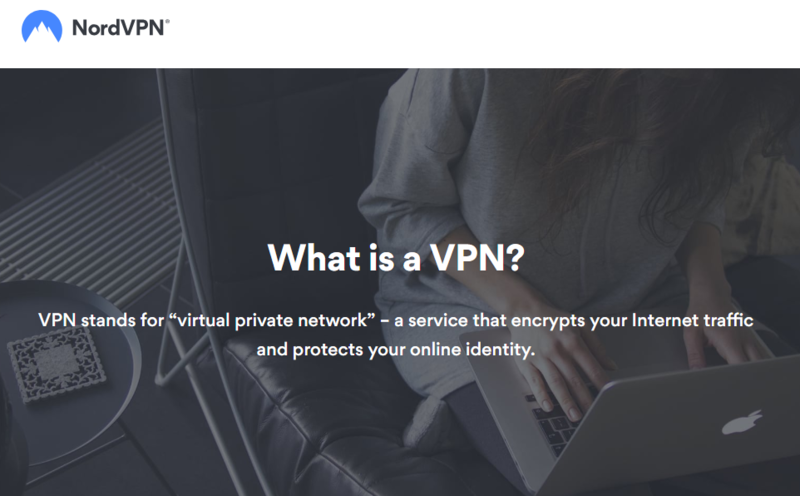 NordVPN also utilizes different security protocols like the well-admired OpenVPN. And as mentioned earlier, you can also leverage the Double Encryption feature for extra security. Keeping your personal data safe is an arduous journey. With NordVPN, a little bit of the stress is lifted off your shoulders. With NordVPN, your data is unlikely to be exposed due to the automatic kill switch. We suggest you leave it on so you can feel safe in the knowledge that you are always connected to your VPN. If there is a kill switch, you’d better use it. A quick failure in the servers of your VPN can reroute your connection back to your ISP and this exposes your activity online. The automatic kill switch prevents that so you would never have to be involuntarily connected to an unprotected internet connection. NordVPN accepts major credit cards and payment services like PayPal. On top of that, they accept Bitcoin, Ether, and Ripple. Cryptocurrency is more than just a trend; it’s one way of keeping your identity and transactions secure. It’s great that NordVPN accepts cryptocurrency for their subscriptions. For our test, we purchased NordVPN with Bitcoin and the transaction was smooth as usual but done by a third-party service called CoinPayments. Unfortunately, they do not accept cash or gift cards at this moment. We could not see any cons with NordVPN – they’ve been steadily improving their product over the years and it’s difficult to find any downsides… Erm, awesome! Based in Panama, NordVPN is considered one of the most secure VPN providers in the world. The company was founded in 2012 by four friends aiming to liberate the Internet. The very first version was released with the first VPN servers being run by their friends. With a name stemming from the Nordic ways of doing business, they run things at the highest standards. There isn’t much information about this private company; we do know they try to be as private as possible, but they often do things we love; like having a warrant canary section. You may also be wondering where NordVPN is located for legal reasons. When we review VPN services, we’re often left disappointed in this regard. A VPN service may be fantastic in almost all aspects but they may lose a lot of points just because of the jurisdiction they’re under (VPNs in the United States or other nations that are part of the 14-eyes alliance). This means we can’t give full marks, no matter how great of a product or service they’re providing. NordVPN has their base in Panama, thankfully! Panama is outside of the government networks that snoop on your data, and as a result, your online activity is safe from prying eyes. NordVPN users are ensured that their data and identities will never be seen by any third-parties. Audit by PwC – one of the Big Four auditors. It’s clear that the leading VPN services are hiring external auditors to go over their policies and run penetration tests for security. NordVPN is one of those leading VPN companies that are running extensive tests. It was revealed on February 21, 2019 that the global billion-dollar auditing firm, PricewaterhouseCoopers AG was named independent auditor that cleared NordVPN’s “no log” claims. The audit refers to the service and server configurations as of late 2018 and the extensive review took place between October 29th and November 8th. Reddit is a fantastic way to get real user reviews and comments. At the same time, we should consider that some users here might be posting on behalf of NordVPN. Here’s one user who reports slowed internet speeds… but isn’t that a given? We believe this user is new to using VPNs and don’t know that their traffic is being routed. Our tests reveal NordVPN offers one of the best speeds in the industry, though. NordVPN Conclusion: What are you waiting for? NordVPN is easily one of the best VPNs we have reviewed, and we absolutely have no problem recommending it to anyone and everyone. This service values features, performance, and security – the holy trinity of VPNs. More importantly, NordVPN is priced lower than any competitors with similar features. It’s no wonder that you’ll see NordVPN being reviewed as one of the best VPNs. NordVPN is as safe as any other top-tier VPNs. With operations outside of “Eyes” jurisdiction, your data appears to be safe from legal battles. In terms of security, NordVPN is certainly one of the best, if not the best. From multihopping to obfuscated servers, complex hashing methods and great integration with other popular security applications, NordVPN seems safer than 99% of other VPNs. 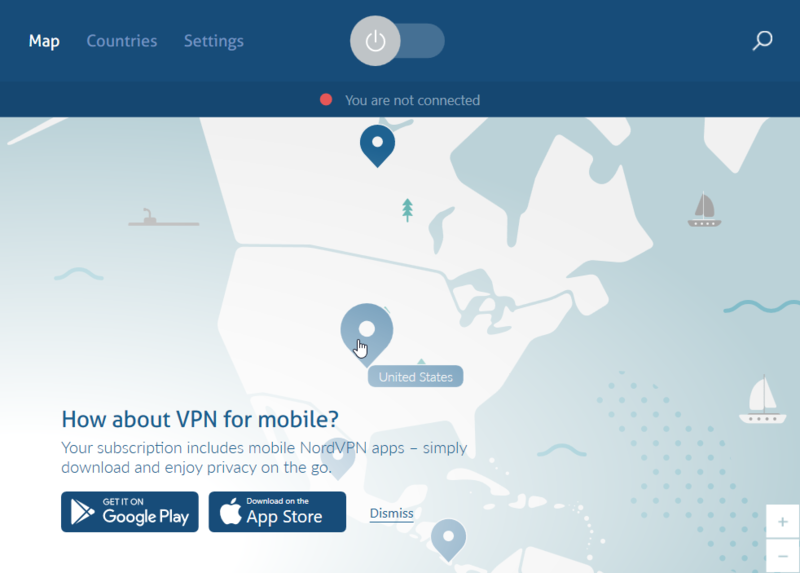 If you need an affordable VPN with premium features, NordVPN is it. Our rating? 9.3/10 (and #1 in our top 10 list). Question on Torrenting: Is it mandatory to configure Proxy Server for Torrent Client once after connecting to NordVPN Server? Or Can I use Torrent client without doing any modifications just by connecting VPN Server? This really depends on your current configuration, but for most users, there shouldn’t be extra configuration needed. NordVPN simply just works out of the box. + Extremely cheap 2-year contract. - High month-to-month subscription (offset by a cheap $2.99/month deal).